Lilia Ahner is a San Francisco wedding photographer with a fine art approach. She loves working with creative couples with an independent sense of personal style. Lilia blends fine art photography with editorial flair to capture authentic moments and create beautiful, romantic portraits. Lilia specializes in San Francisco City Hall wedding photography and has photographed hundreds of weddings there. She loves to travel, and is available for weddings in Sonoma, Napa, San Francisco, the Bay Area, Carmel, Monterey, Lake Tahoe, Southern California and beyond. She supports marriage equality for everyone. Lilia has photographed weddings since 2007. She has a Bachelor of Arts degree in Visual Communication and studied graphic design and fine art photography. 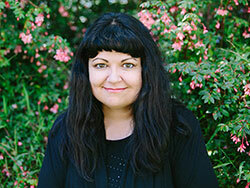 Before her life as a wedding photographer, she worked as a web designer for many years. Lilia is currently a member of the Professional Photographers of America (PPA). 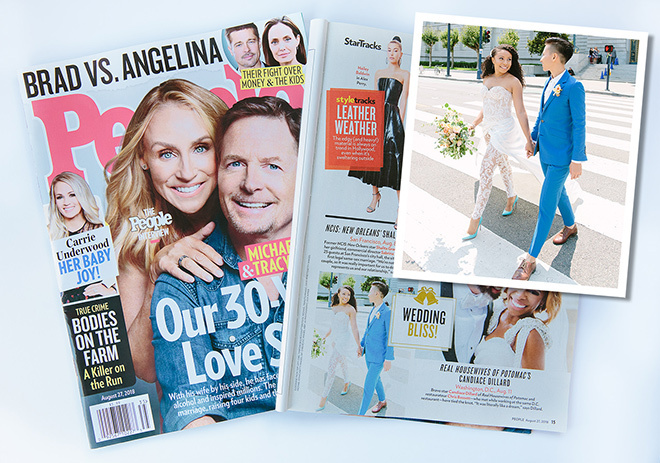 Many of my weddings have been published in People Magazine, Style Me Pretty, The Knot Magazine, Green Wedding Shoes, Offbeat Bride, Wedding Chicks, San Francisco Brides Magazine, and Classic Bride. I have been honored to photograph at some of my favorite weddings venues such as San Francisco City Hall, De Young Museum, Kenwood Inn, Golden Gate Club, Silverado Resort Napa, Conservatory of Flowers, San Francisco Zoo, Meadowood, Viansa Sonoma, Cornerstone Gardens, Bently Reserve, Casa Real, Berkeley City Club, San Francisco City Club, Palace Hotel, Beltane Ranch, Flood Mansion, St. Dominic’s Church, St. Peter and Paul Church, Old St. Mary’s and the San Jose Basilica.